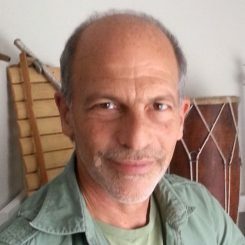 David Sonnenschein is a researcher, graduated in neurobiology and music from the University of California, San Diego, with an MFA in Cinema/TV at the University of Southern California. He has already published several books in the areas of sound design for cinema, being one of the world references in theorizing the relation between auditory and visual stimuli. At present, his study focuses on the pedagogical aspects of the use of music and other auditory elements in autistic children. He is a frequent contributor to several American institutions of higher education, such as New York University, Columbia College, New York Film Academy, among others. He has made more than 40 films, such as director, producer, and sound designer throughout his career, having won several prizes and participated in numerous film festivals. He has participated in several companies in the field of sound, among them IQSonics and Help Kids Media. He has taught university-level film and game sound design classes and consulted professionals for two decades, based on his book Sound Design: The Expressive Power of Music, Voice and Sound Effects in Cinema (2001). The learning approach relies on training the listening (receptive) skills of the students and clients, so that they may become capable with their creative (expressive) abilities in producing effective soundtracks for film.